Many CUPE locals are taking progressive steps on environmental issues. For some, that includes bargaining green language directly into their collective agreements. Environmental challenges, including climate change, are among the highest priorities for workers and their communities. We know unions, like CUPE, can be part of the solution, even at the bargaining table. Many environmental issues can be addressed – or at least recognized – within collective agreements. While exercising union leadership, we can demand employers do more. Some CUPE locals have bargained collective agreement language and letters of understanding that set goals for workplace environmental improvements for employers and workers. Rather than focus on a single environmental issue, this language often takes a broad approach. This approach can help CUPE members raise the importance of environmental issues where they work, which can be a springboard to negotiating collective agreement language on specific environmental issues. For example, CUPE 3886 at Royal Roads University in Victoria has bargaining language on environmental stewardship. Transportation is Canada’s second- largest source of carbon pollution. In 2016, transportation produced approximately 23 per cent of all Canadian carbon pollution. Any steps employers and workers can take to reduce transportation pollution will benefit the environment and worker health. CUPE 3942, in Ottawa, negotiated language supporting bicycle use for its members. The employer reimburses workers who travel by car to cover gas and vehicle wear and tear. Now they have expanded transportation options by reimbursing staff who use bicycles as well. 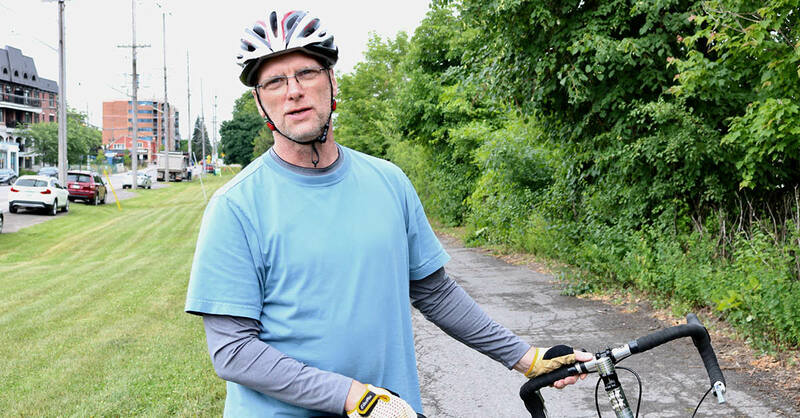 According to CUPE 3942 President, Denis Savard, the staff at the social service agency see this as a progressive environmental step that has encouraged more bike travel to and from work, and has increased bike use for staff who visit clients in the community. CUPE 402 and the City of Surrey negotiated language where the employer pays up to 30 per cent of the cost of transit passes to encourage workers to travel to and from work by public transit. CUPE 4557 members at the United Church of Canada/Kairos also bargained to have a portion of their transit passes paid by their employer. Promoting conservation and sustainability at work through various steps can help improve a workplace’s environmental performance and cut greenhouse gases. Some CUPE locals have used bargaining language to push their employers to extend some common household and community conservation and sustainability principles and practices to the workplace. CUPE 1169, in Calgary, negotiated language encouraging sustainable work practices. The language has helped spread sustainable practices through a workplace environmental committee formed to create green bargaining language. As a result, all 18 branches of the Calgary Public Library have adopted recycling programs, waste and packaging reduction programs, and use environmental cleaning products. Changing the products that we work with is a simple and direct way to reduce a workplace’s environmental impact. “Green” products and processes are no longer out of reach because they are too expensive or hard to find. They’re affordable, and available. Employers should provide environmental products where possible to reduce environmental harm and protect workers’ health and safety. CUPE 4153 members at the Hamilton-Wentworth District School Board struck a Joint Chemical/Equipment Review Committee where the union and the employer each have three representatives. The committee’s work led to language that considers both the environmental and health and safety impacts in the workplace, and how improvements can extend beyond the workplace. These examples show how CUPE locals can help advance an environmental agenda that improves working conditions and lowers workplaces’ negative environmental impacts. Pressing employers to agree to green language in collective agreements and letters of understanding is one strategy workers can use to confront climate change and other environmental issues. Finally, locals can also consider how similar language can be bargained around issues like training, just transition, procurement, use of electric vehicles, and more. For more examples like this, or to have support in developing new and innovative green language, please contact: enviro@cupe.ca.